Slime is such a fun tool for sensory learning and play. There are almost endless things you can do with it. 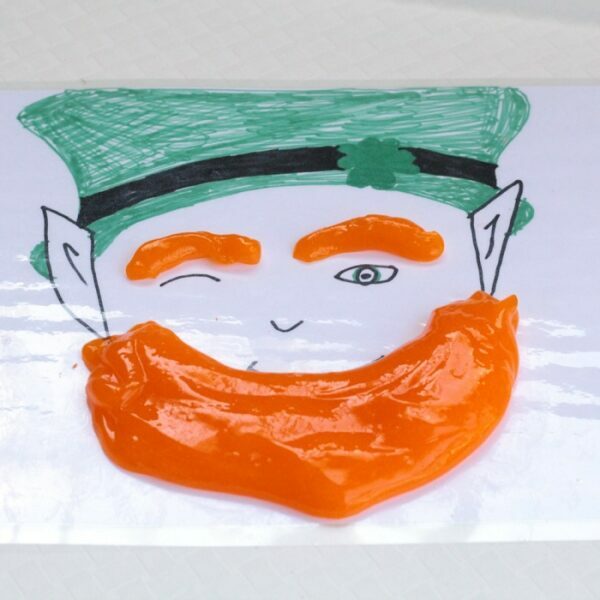 This St. Patrick's Day, make this fun leprechaun slime recipe made from clear glue and orange food coloring. Kids will be delighted at how well their slime turns out and the hairdresser aspect offers a fun twist on a classic kids activity. My kids love messy play and hands on activities like playing with slime. They love playdough, but they can get bored of it after awhile. Both of my kids enjoy a silly hair styling app on our tablet. With Saint Patrick's Day coming up, I was inspired to use slime as the hair of a leprechaun. With the help of a laminator, you can transform slime time into art time, too! If you don't have a laminator – that's OK! You can use a clear page protector, a large clear zip top baggie, or even plastic wrap. The kids thought it was hilarious that they could play hairdresser with slime to a leprechaun. It's amazing how slightly changing up an activity can keep kids busy for nearly a whole afternoon. 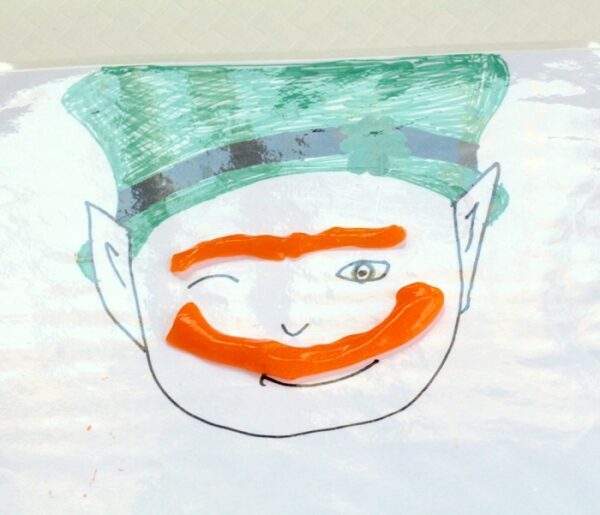 First, draw a little leprechaun on a piece of paper. I drew a little guy with pointy ears, a hat, and a shamrock accent. Don't draw any hair, including eyebrows. (I kept wanting to add eyebrows, but don't.) I made my guy wink. 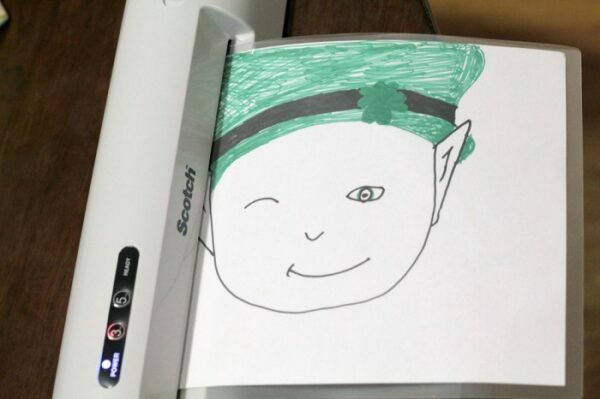 To make your picture slime proof and reusable, run your leprechaun sheet through a Laminator. If you do not have a laminator, you can put the picture inside of a clear page protector or a large zip top baggie. You could even try putting plastic wrap around your picture and securing it on the back. 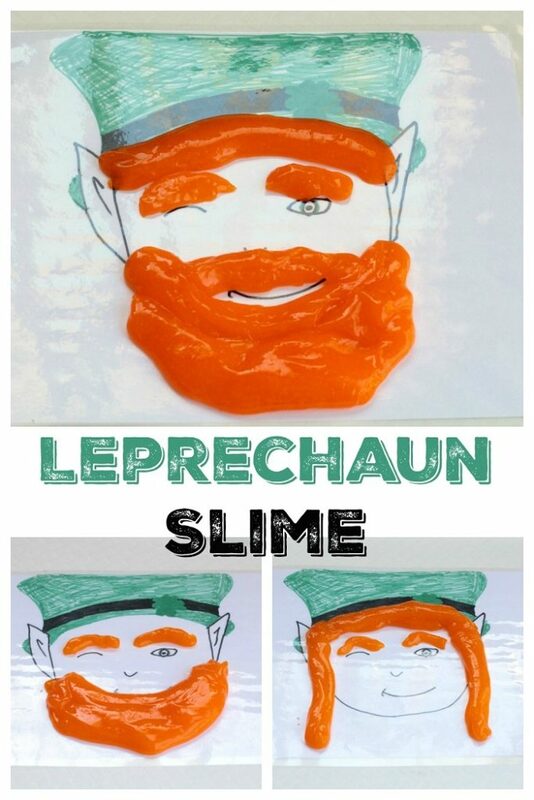 If you don't mind the leprechaun paper getting messy, you don't have to make it slime proof! Now you are ready to make your slime. 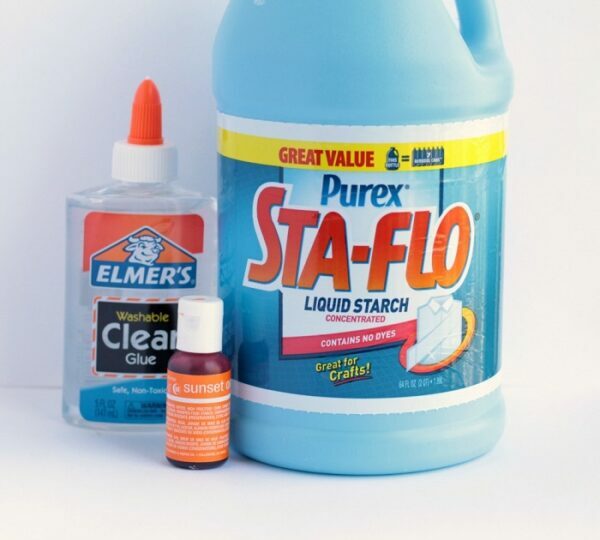 Start by mixing 1/4 cup of clear glue with 1/4 cup of water and a few drops of orange food coloring. Next add 1/4 cup of liquid starch to the mix. 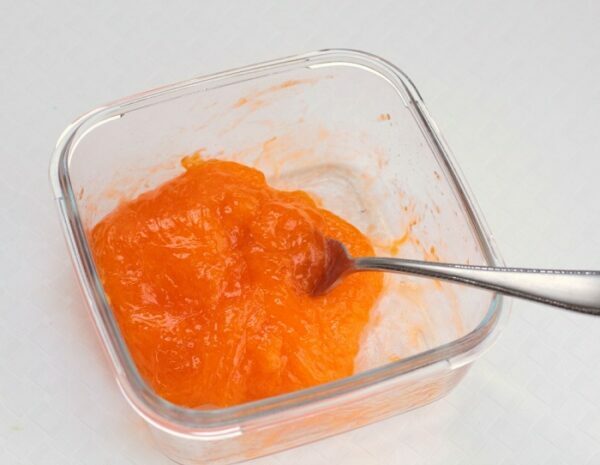 Mix everything with a fork until combined, then let the slime sit for about three minutes before using it. Work the slime with your hands until it is smooth, stretchy, and no longer sticky. Now it is ready to play with! Show the kids how you can use the slime like hair. Give your leprechaun all kinds of hairstyles! We made a leprechaun with a funny beard, one with a crazy mustache, and we even made a lady leprechaun, too. We hope you include this fun leprechaun slime recipe in your St. Patrick's Day activities! Believe it or not liquid starch is not available in Canada. How ridiculous is that. I think it is due to our bilingual label requirements. 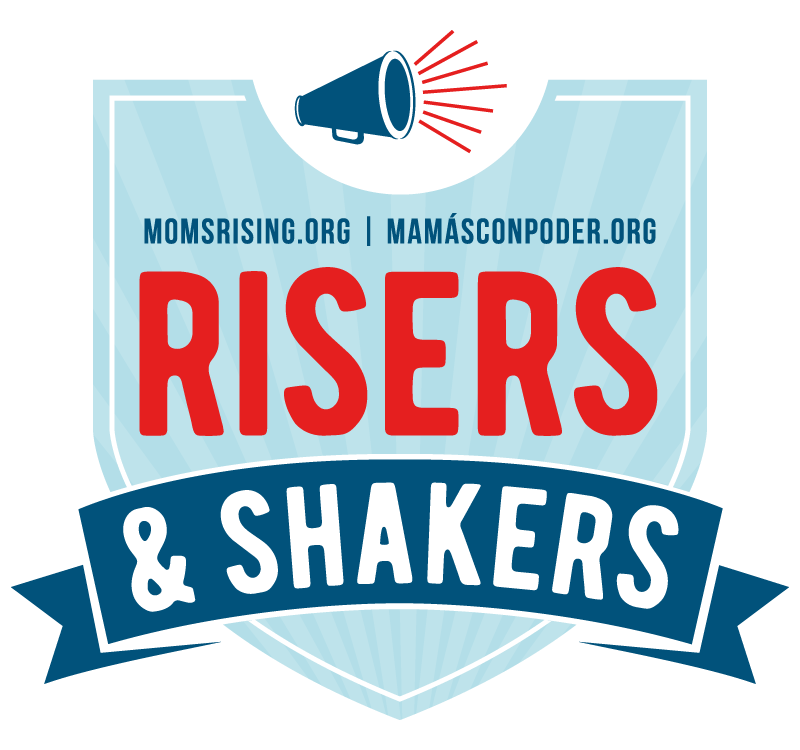 I won’t be able to make this project with my grand daughters, but I wanted you to know that I think it is a really cute idea. I didn’t realize liquid starch wasn’t available in Canada! I have seen slime recipes that use different ingredients, so I will work on figuring out the measurements to substitute the liquid starch. Thanks, Leanna! Too fun! Thanks for the recipe! Thank you for sharing on Merry Monday! Have a great week! That’s so cute. Giving this to my daughter as she is a preschool teacher.